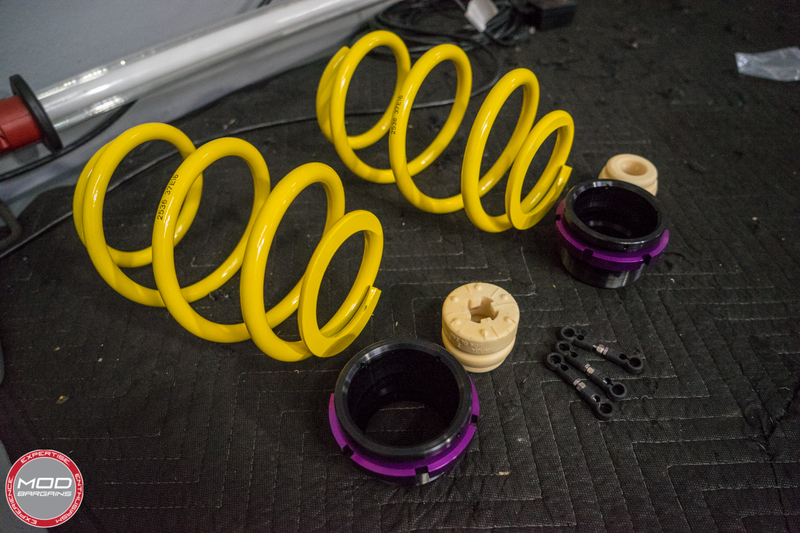 The KW Height Adjustable Spring Kit is the best way to maintain function of your advanced factory adaptive suspension while giving you complete control over your ride height. 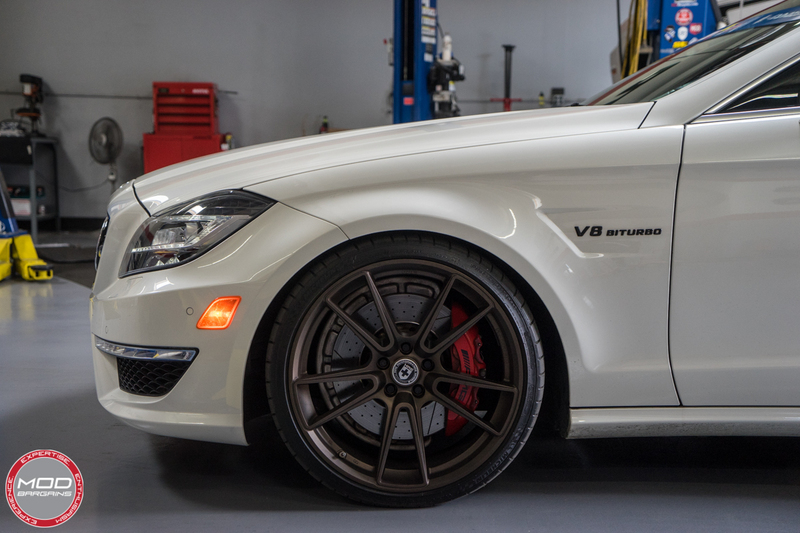 The KW Height Adjustable Spring Kit is one of the best choices for aftermarket susepnsion for Mercedes AMG models equipped with rear self leveling suspension. The beaut of the kit lies in its simplicity. When you are considering a coilover kit or air suspension kit for these vehicles you always have to think about what you are sacrificing in the process. The problem with buying a normal aftermarket suspension setup is that most do not integrate with the factory adaptive suspesion control unit. KW has recently developed a new line of Plug and Play DDC Coilovers that do integrate with the OEM unit but developing such a system takes time so until they have that option available for every vehicle the next best setup is the Height Adjustable Spring Kit. The way it works is you have a replacement spring perch in the front which utilizes a threaded collar to allow height adjustments to be made around the OEM shock body. In the rear the oem suspension is a little more complex and just adding a replacement spring would mean removing the self leveling air spring. The way KW got around this was to utilize the OEM self leveling technology to lower the car utilizing this air spring. Basically there is a leveling module in the rear which utilizes a small rod to measure the distance between the lower control arm and the vehicle body to keep the height consistent when weight is added or taken away from the rear of the vehicle (passengers, cargo, etc). The KW Kit comes with shorter adjustment rods to essentially trick the rear suspension into thinking it is riding higher than it actually is and causing that module to retract the air spring and resulting the vehicle lowering itself. This gives you complete control over your ride height without giving up the amazing adaptive suspension technology designed by the Mercedes team.